Group Health Cooperative’s sale to California-based health giant Kaiser Permanente won final approval from state Insurance Commissioner Mike Kreidler. The $1.8 billion sale of Group Health Cooperative to California-based health giant Kaiser Permanente won final approval Friday from state Insurance Commissioner Mike Kreidler. Kreidler’s decision was not a surprise, as regulators on his staff already had endorsed the deal. By law, his authority was limited to assessing the deal on whether it would have a negative impact on competition and consumer choice. Kreidler, who worked for Group Health as an optometrist decades ago, said he had mixed feelings about the deal. “Looking back nostalgically, Group Health has been here for 70 years. You just kind of want to turn back the clock,” he said in an interview. But consolidations are a health-care industry trend, and the deal met state requirements, Kreidler said. Accountants, lawyers and other experts with the Office of Insurance Commissioner began reviewing Group Health’s sale early last year. In written and sworn testimony this month, the state’s chief reviewer, Ronald Pastuch, said the deal would not lessen competition in Washington state or be hazardous to the public. Pastuch also found no evidence Kaiser plans to sell Group Health assets or merge it with any other entities. Group Health has some 650,000 members in Washington and northern Idaho, and an annual income of $3.5 billion. Kaiser has 10.6 million members in eight states and Washington, D.C., and reported $60 billion in 2015 revenue. Although Group Health members were concerned about such a change, the organization’s board of trustees “felt overall this acquisition put our members first,” Chairwoman Susan Byington testified this month during a hearing before Kreidler. Group Health was called “radical” and “socialist” after it was founded by local doctors and unions in 1947. In public hearings, both Byington and Kaiser executive Susan Mullaney said the two organizations are compatible. Both are nonprofit, both pioneered integrated care and they share a mission of quality affordable care, Byington and Mullaney said. 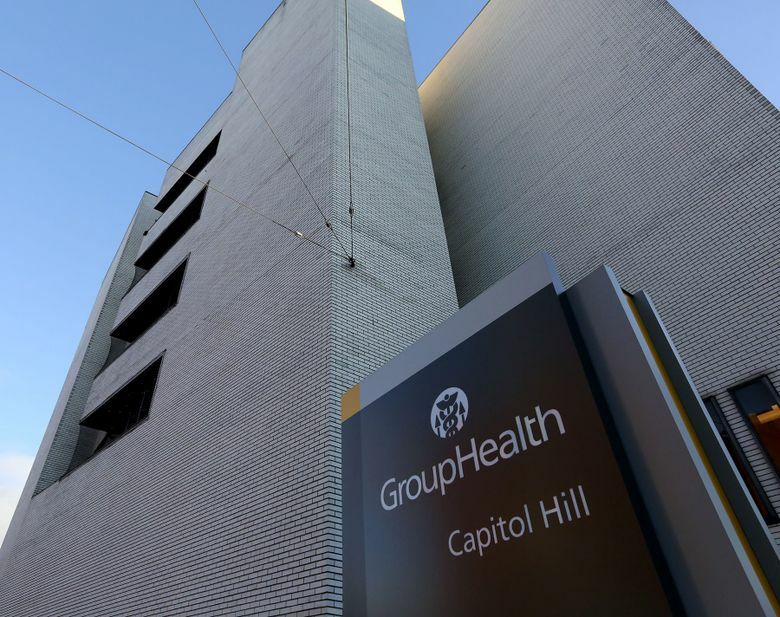 Group Health’s board had begun considering such partnerships in 2014, Byington has said, because of declining membership and insufficient capital for future investments. That jeopardized the level of care members had come to expect, according to Byington. Under terms of the deal, Kaiser would pay Group Health $1.8 billion and it pledged to contribute an additional $1 billion over 10 years to improve facilities and technology. Kaiser also expects to contribute $800 million toward unspecified community benefits in the first 10 years after the acquisition. Mullaney said no jobs should be lost in the deal. She said Kaiser would honor all existing union contracts, and nonunion employees would see no changes in the first nine months after the acquisition is approved. The deal is scheduled to close Feb. 1. Kaiser plans to operate Group Health facilities as Kaiser Foundation Health Plan of Washington. A formal name change will be filed with state officials once the acquisition is complete, said a Group Health spokesman. The Kaiser brand will appear on member ID cards and in medical centers in March, he said. Kaiser has agreed to conditions sought by Kreidler and his staff. Kaiser will create a Consumer Advisory Committee and maintain Group Health’s Senior Caucus, a group of members 60 and older who give input to the board on care for the aging. Kreidler did not find evidence the deal would amount to market dominance by the new entity, as Kaiser counted roughly 79,000 members in Washington. Together, Group Health and Kaiser would hold 16 percent of the state’s total market, he said. In public hearings last year in Tacoma, Seattle and Spokane, Kreidler heard almost nothing but support for the acquisition from Group Health members and employees. Voting members of Group Health overwhelmingly supported the deal in a vote last year. In mailed-in ballots, members voted 8,824 to 1,586 to approve the move that essentially dissolves the historic homegrown cooperative, founded nearly 70 years ago with the mission of providing integrated health care and health coverage to Northwest residents.